What is Christianity? Is it the truth? What is Christianity? What is spiritual vs religious, spirituality versus religion? What about THE truth? The questions came when I wrote on behalf of Umar Mulinde. What is spiritual vs religious, spirituality versus religion? The questions came when I wrote on behalf of Umar Mulinde. I nominated Umar Mulinde for the Nobel Peace Prize. And soon got back two diametrically opposite responses. The first chastised me because I nominated him for having the courage to live HIS truth - for openly converting to Christianity in a country with a high Muslim population. No, I was told, it was not just HIS truth. It was THE truth. The second person felt betrayed by me. 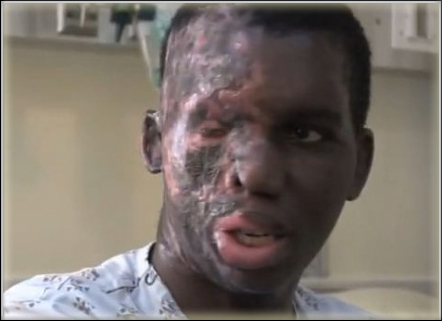 He had lived in a Christian hell for the first 16 years of his life: fear, genital guilt and punishment. He has never again trusted anyone Christian. What's my answer? There are some "out there" truths - like Belgium didn't invade Germany in 1939, Germany invaded Belgium. About spiritual things, I don't believe in such an absolute truth. My sense is we experience the spiritual partly through what is around us (a harsh punitive religion or a warm loving one) and partly through who we are as people. When I wrote something like this to the person who believes Umar found THE truth, and also wrote him that people had very different experiences of Christianity (including as harsh and punitive), he cut off. I also wrote back to the second person - in this case that I was sorry for the horrors he had been forced to live through in childhood, that many others have had similarly horrifying experiences of Christianity - but that this was not the only form of Christianity in the world. I will see what happens with him. As for me, I don't uphold Christianity as THE truth. I uphold we have the innate right to explore and live spirituality as is right for us. This includes not experiencing any spirituality. Very important: I don't see all the experiences of the spiritual as being equally true, in terms of closeness to what is really out there. A vengeful hating person will filter things in one way. A rapacious person in another. And so on and so forth. Sharing experiences of the spiritual - my plan is that there will be space for that in Ethical Interfaith, which will get going in a bigger way in a month or two. 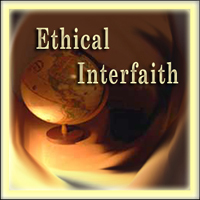 The initial interest, however, will be establishing what is most likely to be ETHICAL - the ethical underpinning of all true faiths. In other words, if something violates these ethics, it cannot be part of THE truth. I don't know if this makes sense to you. Anyway, it should make for interesting explorations.